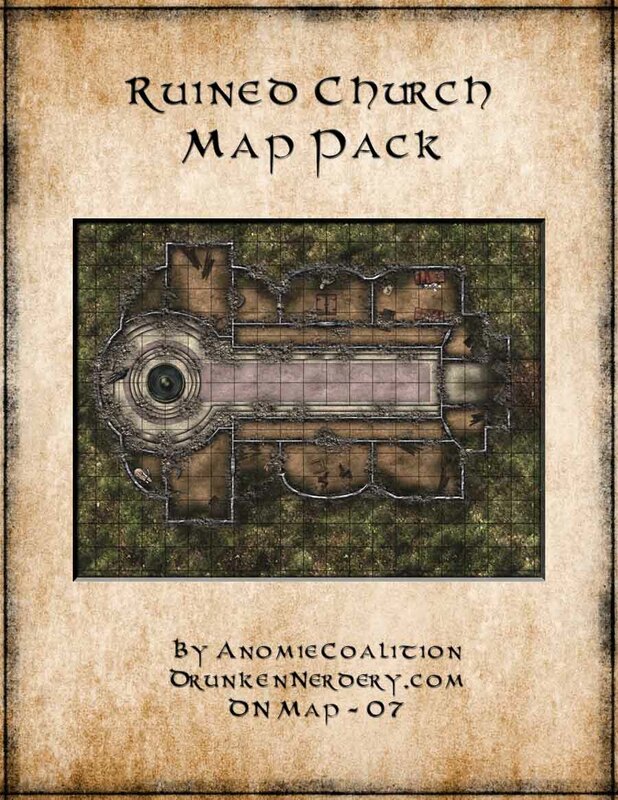 Hey all – Created a new map pack of a ruined church (which could obviously also be an abbey or temple). I’ve made it available at DriveThruRPG for only $1. I’ve also created a bundle at DriveThruRPG – it includes this ruined map and the normal version. Are you in need of a ruined church, abbey or temple for your next game? This encounter map will serve you well! This building features the remains of a common worship area and several other rooms reserved for its priests. The map is drawn to scale (5’=1″) and is ready to print from the comfort of your own home or upload to your favorite VTT. The map is provided in .JPG file format to either take to your local print shop or upload to your favorite VTT. Included in the ZIP file is a version with just the grid, a version with the grid and labels, and a version with neither. Categories: Uncategorized | Tags: 3.5, Abbey, Battlemap, castle, Church, D&D, dnd, Encounter, Pathfinder, RPG, Ruin | Permalink. 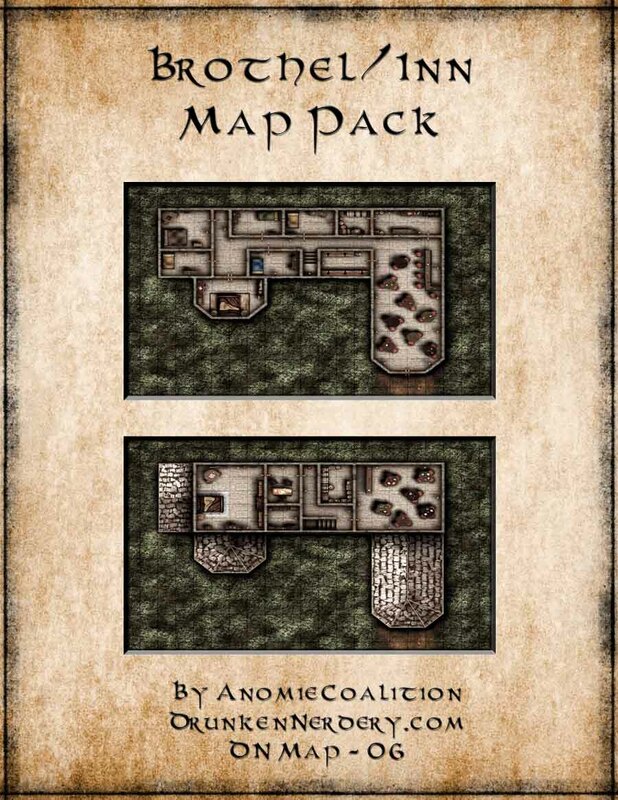 Hey all – Needed a Brothel for an adventure i’m working on (though it can easily function as an Inn) and decided to sell it as a map pack on DriveThruRPG for only $1. Need a Brothel or Inn Encounter Map for your next adventure? Or maybe your players often find themselves starting bar fights and you need such a map just in case. Either way, this encounter map will serve you well! This building has two floors and 15 rooms. The map is drawn to scale (5’=1″) and is ready to print from the comfort of your own home or upload to your favorite VTT. Categories: Uncategorized | Tags: 3.5, Battlemap, brothel, D&D, dnd, Encounter, inn, Pathfinder, RPG, tavern | Permalink.